If you are new to Instant Pot this is a great recipe to start with. It doesn’t require many ingredients and cooks quickly. 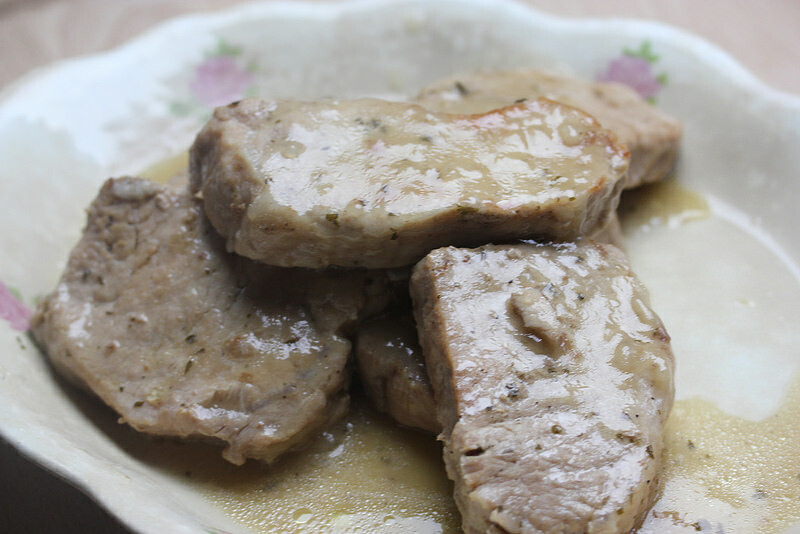 I used 1 inch thick boneless chops in this recipe so adjust you cooking time a little bit if they are thicker or thinner. I’m sure bone-in chops would work out just as well. Using the sauté setting on the Instant Pot brown the pork chops on both sides using the oil. Remove chops to a serving platter, pour in the wine, and cook scraping and stirring to deglaze the bottom. Place the chops back into the Instant Pot and sprinkle on the ranch seasoning. Set the butter on top and then pour in the broth. Seal the lid on and press the pressure cook button, then set the time for 10 minutes. Leave the Instant Pot lid on to naturally release pressure for 5 minutes; turn to quick release to release the rest of the pressure. Remove the chops to a serving platter. Mix the water with the cornstarch, set the Instant Pot on sauté and mix the cornstarch mixture into the broth cooking until thickened to form gravy. 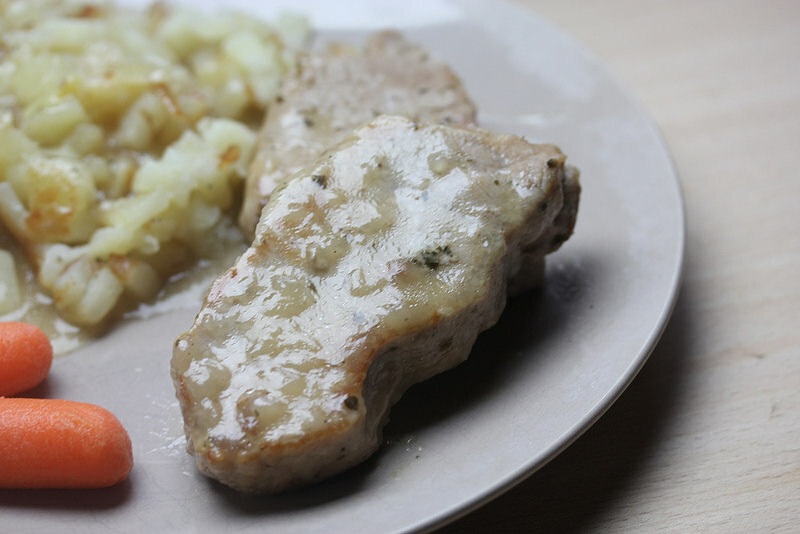 Pour some of the gravy over the chops and serve the rest over mashed potatoes or hash browns.